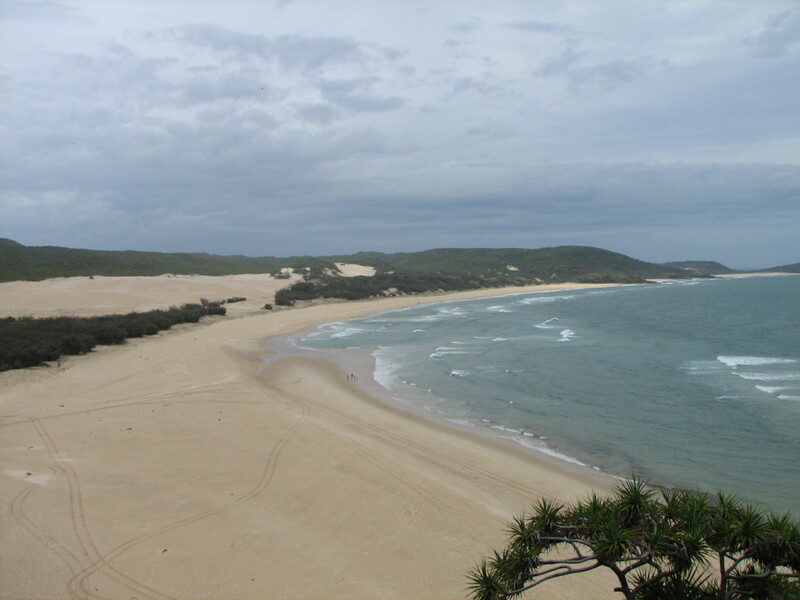 Fraser Island is a World Heritage Site that is a large sand island. While you can do Fraser Island in a calm, non-drunken fashion, most people on the island are backpackers looking to have fun. 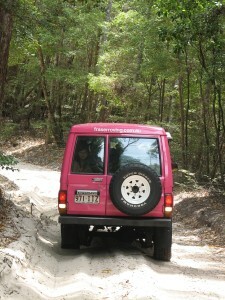 While you can do Fraser Island in a day, most people do 3 day / 2 night adventure. You basically get in a 4×4 with nine people from around the world. 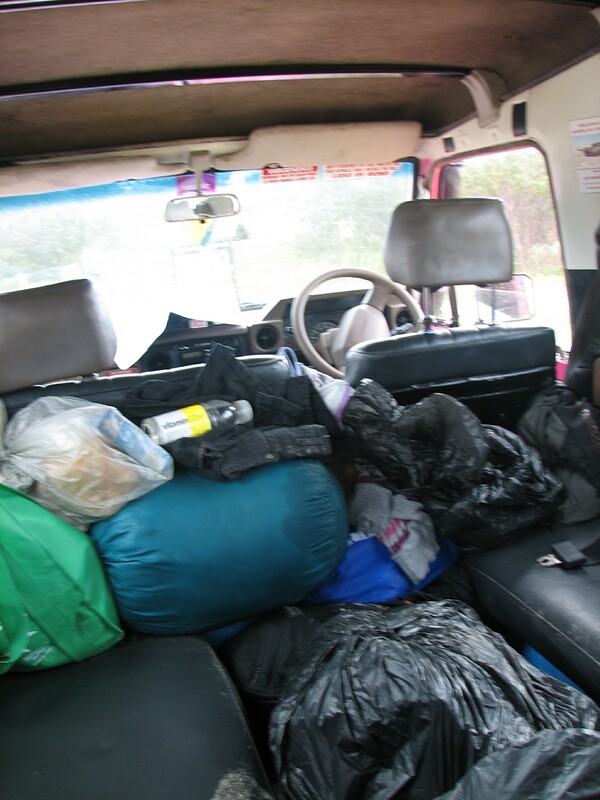 The vehicle is backed with food, alcohol, sleeping bag, tents, and a couple clothing items. There are longer trips, but I think the 3 day / 2 night adventure is the optimal amount of time. I had a blast in the island and made some life long friends from the adventure. The island is gorgeous. There is Lake Mackenzie, which is a fresh water lake in the middle of the island. It is simply amazing. There is also Lake Wobby that is a beautiful lake with a large sand mound that runs into the lake. There is nothing better then sprinting down the sand hill right into the lake. 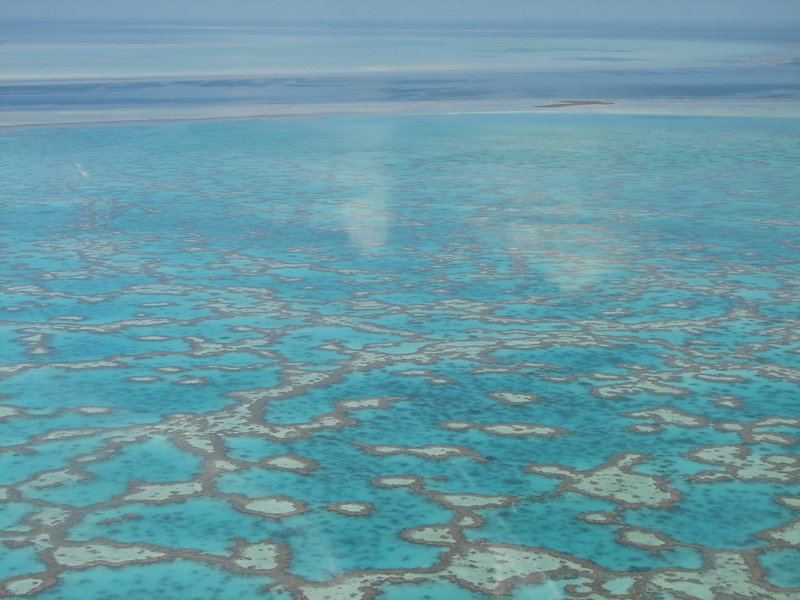 Whitsundays is made up of 74 islands off the coast of Queensland. 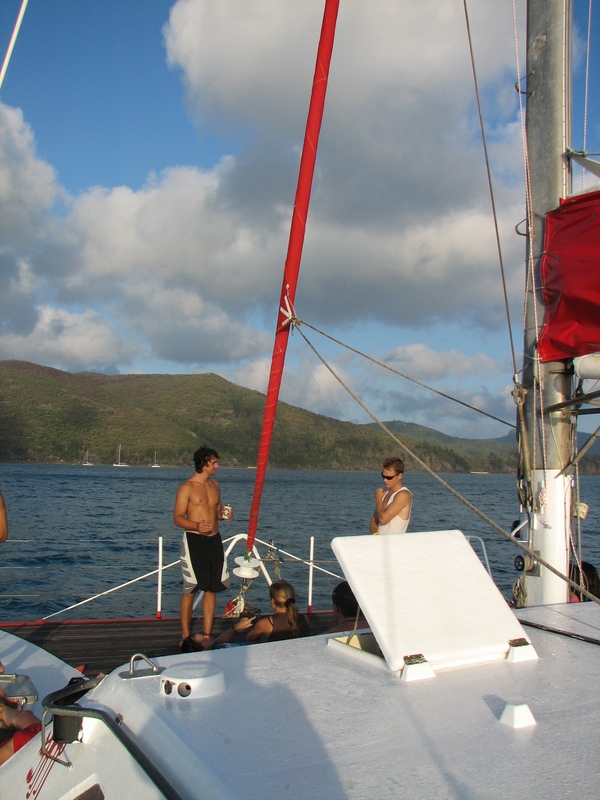 You can do everything from going in an air conditioned yacht with private rooms to a backpacker boat where you sleep on top of the boat since it has no air conditioning. I choose to go with the cheapest boat- Tongarra. 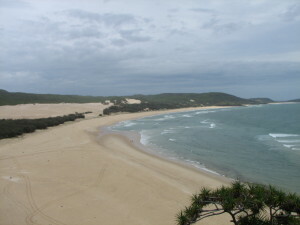 Unlike with Fraser Island, this place does get much diverse set of travelers from backpackers to a couple going on their honeymoon. You can see from the link below that there is a wide variety of boats. I also went with another 3 day / 2 night adventure. If you want to see a bunch of Queensland in a week, it is not feasible to spend a longer time in Queensland. 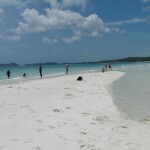 The highlight of the trip is Whitehaven Beach. It is amazing. 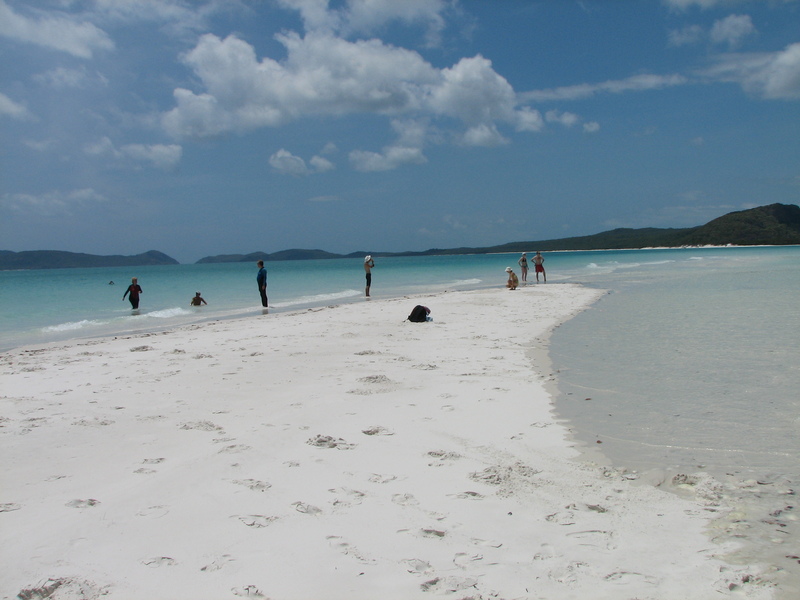 If you spend a longer time in the Whitsundays, you can see Hamilton Island and various other islands. 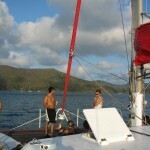 There are other boats where you can go Scuba Diving. Cairns/Port Douglas is the gateway to the Great Barrier Reef. Cairns is where the cheapest accommodations are located. This is where most backpackers reside. There are also nice accommodations in Cairns. Port Douglas is a higher-end location. It is also closer to Cape Tribulation, Daintree, and Mossman’s Gorge. I recommend a minimum of three days at Cairns / Port Douglas. I would spend 2 Days at the Reef doing Scuba Diving and/or Snorkeling. I would also spend one other day at Cape Tribulation, Daintree, and Mossman’s Gorge. Mossman’s Gorge is an awesome spot to go swimming. Cape Tribulation is beautiful and is where the rainforest meets the reef. Greyhound bus is one of the most popular bus companies. There are other bus companies. They stop at all the different locations frequently. I recommend taking night buses to ensure that you don’t waste any time. If I only had 7 days, I would shorten Whitsundays and Cairns/Port Douglas by one day each. 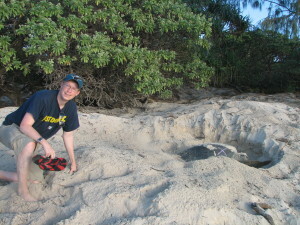 Heron Island was my favorite location in Queensland. It is an island just off the coast of Gladstone. There is a resort on the island. It is not a cheap location. You need to take a helicopter or boat to get out to the island at a cost of 200+ for each way. It then costs $250+ a night to spend on the island. I spent 3 days / 2 nights on the island. 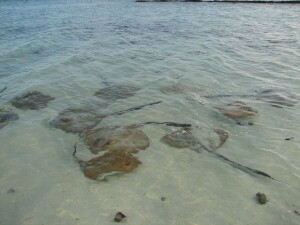 Heron Island is a tidal island. Turtles come onto the island to lay their eggs. 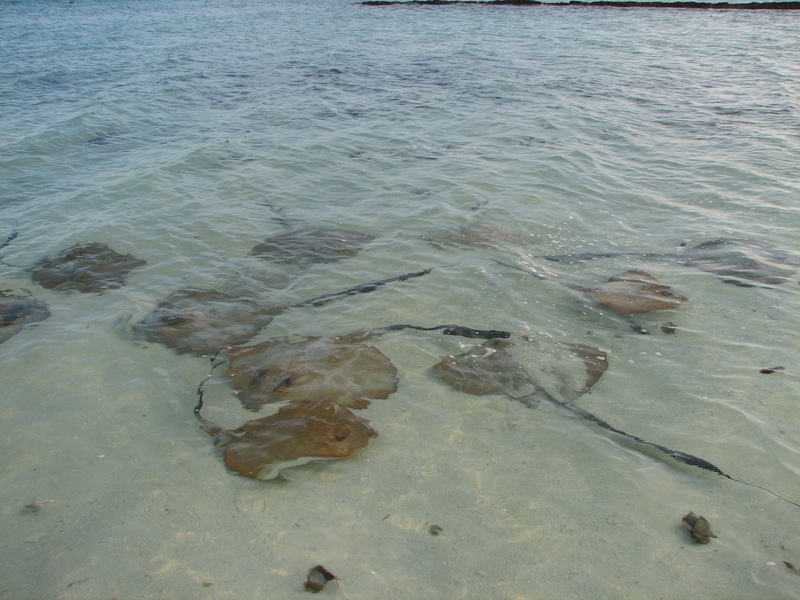 When you walk on the beach, you see sting rays all around in the water. When you snorkel, you are face to face with reef sharks. There are probably few places better in the world to see wildlife.